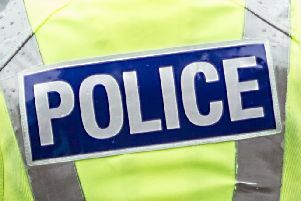 A Cumbernauld woman has been arrested in Spain after police swooped on an alleged drugs smuggling ring. Stephanie Morgan (25) a former beautician is one of 12 Britons who were arrested after being accused of supplying drugs to clubbers in the Punta Ballena district of Magaluf. The arrests which also involve two non-British suspects were made last Thursday by heavily armed police in a major raid, dubbed Operation Tatum. A variety of drugs were seized, including cocaine, ecstacy, hashish and crystal meth. A £100,000 cash sum was also confiscated plus designer watches and four luxury cars. Those arrested appeared in a court in the Mallorcan capital of Palma on Sunday. Two British men were released without charge but the remainder of the group, including Miss Morgan remain in jail. They were refused bail after being deemed a flight risk. A Facebook post dating back to mid August stated that club PR girl Miss Morgan had had secured residency in Spain and expected to spend the next five years there. Under Spanish law the suspects could face a two year wait to be tried.